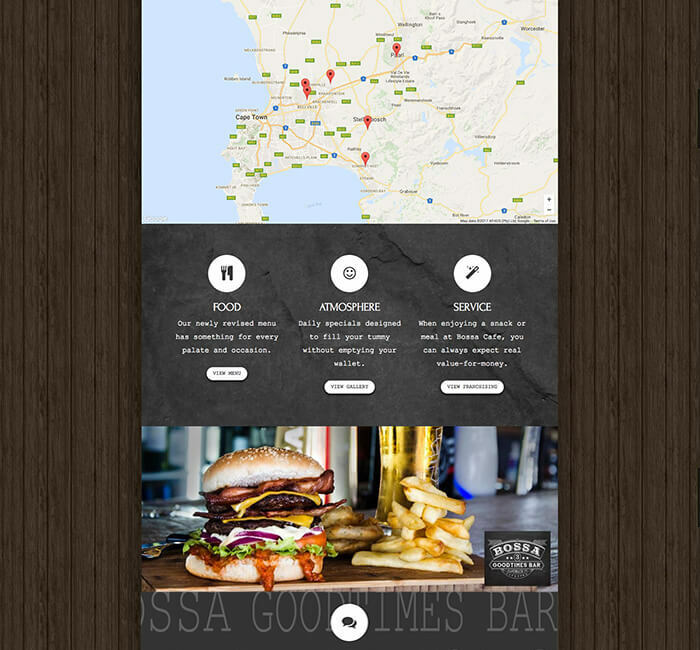 Bossa Goodtimes Bar is an iconic franchise in the Western Cape, known for its lively social atmosphere, great music and even better drinks and cocktails. Its formula struck a chord with locals and it has quickly expanded to its current five locations. Just as it has grown, so has its brand, necessitating a new website to showcase its newly-designed brand image. 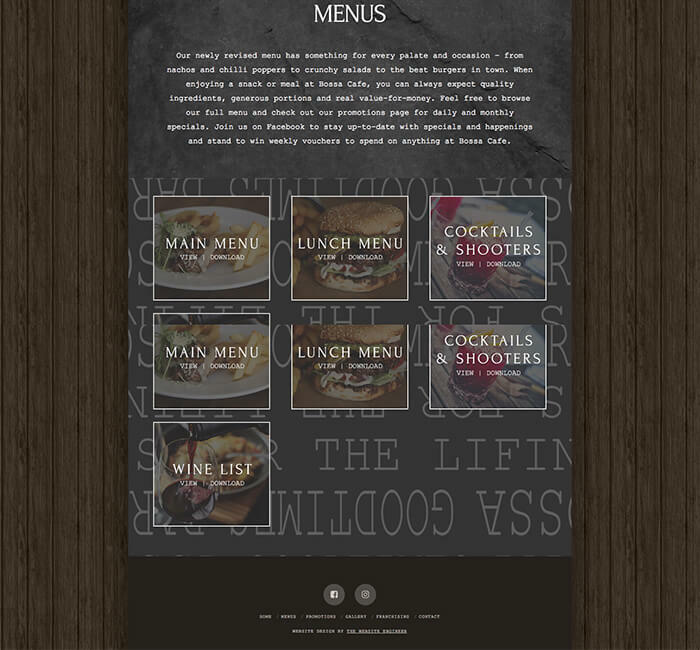 Our team approached the project with the same energy that you would find at any Bossa on a Friday night to create a look and feel that would give patrons a sense of exactly why Bossa is called a ‘goodtimes bar’. Before getting started, we asked ourselves, ‘How would we like to unwind after a productive, challenging day at work?’. We took our answer to that question and turned it into Bossa’s new website. Bossa knows that its patrons come first, so they asked us to keep things simple, and allow visitors to easily find and see the menu and get easy access to location information while getting a sense of the atmosphere they can expect at their nearest Bossa Goodtimes Bar. The creative process was kicked off by visiting the Stellenbosch branch, where the team got first-hand experience of what Bossa is like and what makes it different. 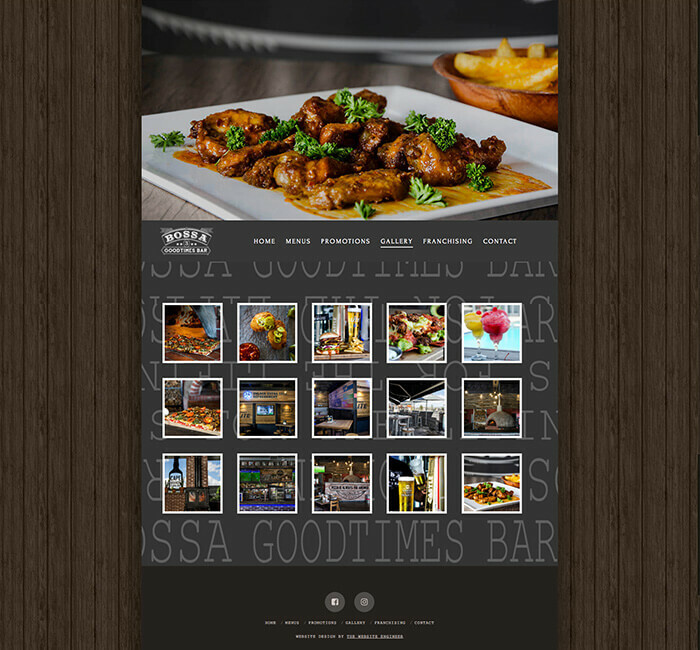 The result was exactly what every goodtimes bar dreams of: a web presence that guides people quickly and easily to physical locations and gives them everything they need to know to make Bossa their first (and only) stop on their night out.